The new year comes with new filing deadlines for employers. As of 2017, business owners will be required to file forms 1099-Misc and W2s by January 31 in order to avoid paying hefty late filing fees. The filing dates were updated in an effort to combat fraud with the passage of The Protecting Americans from Tax Hikes (PATH) act of 2015, which was passed by Congress and signed by President Obama. *Make sure you have your signed and dated W9s from all of your contractors. *If backup withholding is required, withhold 20% from contractor and forward such payments to the department of treasury. *File 1099-Miscs and 1096 with the IRS, State and SSA before January 31 2017. *File W2s and W3 with the IRS, State and SSA before January 31 2017. Need hassle free 1099 and W2 servicing? Call us at 773-536-9272 and save up to 75% on your filings when compared to national payroll service providers. In this article, I’d like to inform you about the minimum income requirements to file a tax return for the tax year 2013. If you are a U.S. citizen or resident alien, you must file a return if your gross income for the year was at least the amount shown on the appropriate line in the table below. If you were a nonresident alien at any time during the year, the filing requirements that apply to you may be different from those that apply to U.S. citizens. You had taxes withheld during the year (you must file a return to receive a refund). What is my gross income? Gross income means all income you receive in the form of money, goods, property, and services that is not exempt from tax, including any income from sources outside the United States or from the sale of your main home (even if you can exclude part or all of it). It also includes gains, but not losses, reported on Form 8949 or Schedule D. Gross income from a business means, for example, the amount on Schedule C, line 7, or Schedule F, line 9. But in figuring gross income, do not reduce your income by any losses, including any loss on Schedule C, line 7, or Schedule F, line 9. 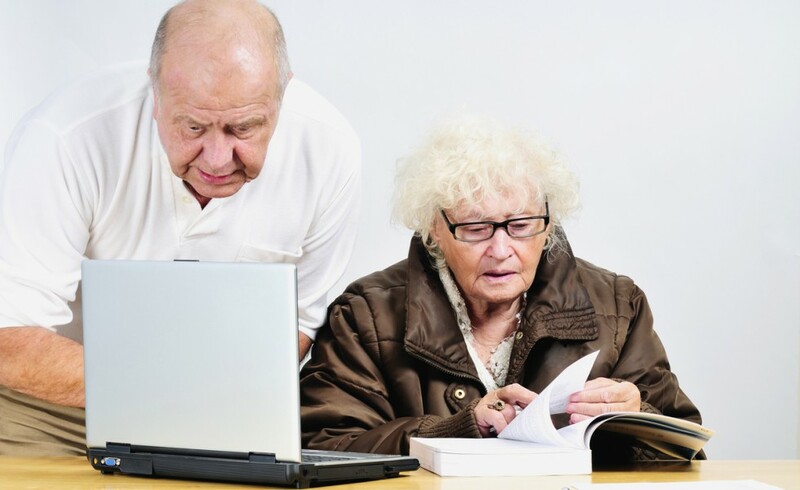 Do not include any social security benefits unless (a) you are married filing separately and you lived with your spouse at any time in 2013 or (b) one-half of your social security benefits plus your other gross income and any tax-exempt interest is more than $25,000 ($32,000 if married filing jointly). If (a) or (b) applies, see the Instructions for Form 1040 or Publication 915, Social Security and Equivalent Railroad Retirement Benefits, to figure the taxable part of social security benefits you must include in gross income. You started your own business, and just as you predicted, it is doing well. But at the same time, you are stomped and you need help. After looking at salary sites for how much the market value of the helper would be, you multiply the hourly rate by 40 and come up with your cost per week. That’s all well, but if that’s all you are considering before hiring help, you are in for a surprise. To get a better sense of the figures we will be talking about, let’s say your name is Jack, the boss, the job creating workaholic. And your newly hired assistant is Jill who is tidy, organized and has great people skills. Jack Hires Jill at $10 / hour. Jill works 40 hours a week, what is the cost of Jill to Jack’s business per year? First we take the base salary, and multiply it by 2,080 (Hours Worked Per Year). Salary = $10 x 2080 = $20,800. Not too shabby for an introductory assistantship position. Then we figure out how much the employer’s portion of Social Security tax Jack’s business has to contribute. Then we figure out how much the employer’s portion of Medicare tax Jack’s business has to contribute. In this scenario, Jack has to contribute an additional 9.82% to the salary he is paying Jill in the form of taxes for the privilege of being able to conduct business and hire employees. Jill’s hourly cost to Jack is $10.98 instead of the original $10 he was expecting. Q: Will I be taxed if I sell my Home? A: The answer here is depends (just like many other answer you’ll get from me). Are you single, and made a profit of over $250K after sale costs (highly unlikely in today’s market)? If the answer is yes to both questions, then yes, you will be part of the lucky few to get taxed on your sale. Q: I am from (let’s say) Germany, here on a non-resident visa, and would like to start an S corporation. Can you help me? A: Unfortunately I can’t help non-resident set up an S corporation, and please don’t believe anyone who says he/she can either. But you are in luck as you have other options.. The C corporation may be the right option for you, or even LLC. I would recommend you speak with an attorney or experienced accountant before going any further in your plans. Q: How do I do payroll? Can I just fill out the unemployment report since that’s the only thing that requires quarterly reporting of personal info? A: Payroll is a complicated process for most business owners, as there are multiple steps in completing it timely and accurately. What I can tell you in general is that there are at least 3 reports that you’ll have to complete and pay the taxes for in order to “do payroll.” Federal, State, and Employment Security (unemployment). I would highly recommend seeing a reputable accountant though as there are laws and regulations that need to be followed in order to do them right. Q: Do you think I can do my own taxes with XYZ software? A: Sure you can! And Why Not? You can also pull your own teeth, give yourself a haircut and heal your broken leg. Just because you can do these things, doesn’t mean you should as I wouldn’t recommend doing any of them. A: This is a really long topic, but here are a few examples. Software over time gets better, and with a 1040EZ, you most certainly can do it yourself and not miss out on much. 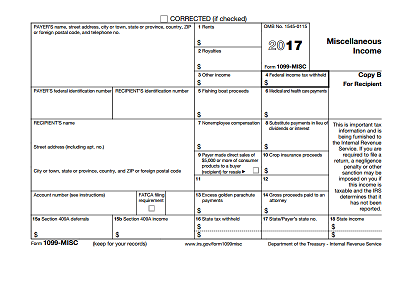 However if you are doing anything more complicated than a 1040A, you are missing out by doing it yourself. For example, did you know that in order to deduct your gambling losses, you need to have won as much as your deductions? So your losses at the casino unfortunately are not deductible if you don’t have winnings to net them against.. Your software doesn’t tell you that, but don’t worry, the following year, IRS will be happy to send a letter to your house reminding you of this very issue (plus interest). More examples you say, sure. Your software may ask you about how much you have spent for education this year, but there are different laws about the level of education and the breaks you get in return. So if you are a grad student filling out the slot for the HOPE scholarship, you are in store for a nasty surprise next year as IRS demands its tax credits back. And there are a million other scenarios such as the ones mentioned above that only an experienced accountant or a tax attorney can help you with. So my advice, see a professional, it’ll be cheaper than doing it yourself. Stay tuned for important info regarding you and your business.